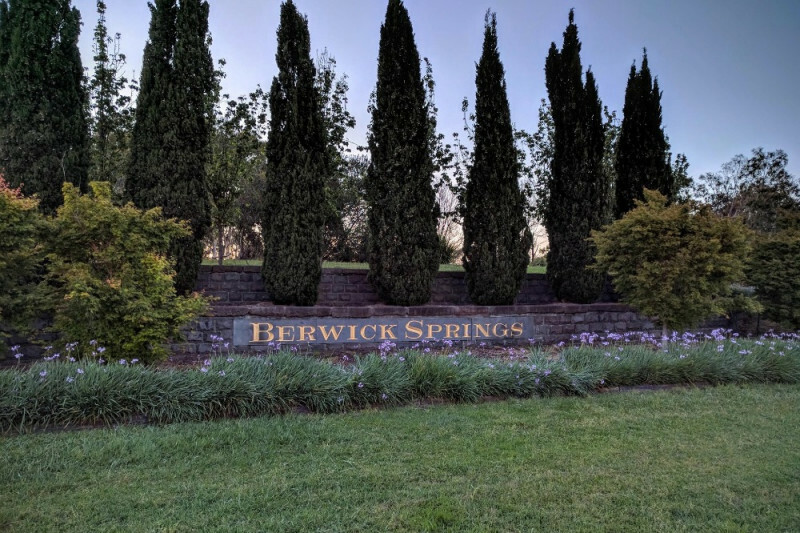 Recently in November 2016, residents of the Berwick Springs Estate in Narre Warren South, VIC found out accidently when they noticed the rose bushes were being removed that our beloved parkland, trees and bluestone entry feature walls to our estate would be impacted by a new development. The existing roundabout at the bluestone entry gates to our community was to be enlarged x5 and positioned to ensure the new residential estate (Alira)was not impacted at all. We would lose our mature trees, paths, landscaping and the bluestone walls would be pushed back some 50 meters into our Berwick Springs estate. With the new plan, cars would now travel closer to park users, walking paths would be moved, over 200 established trees would be taken and the road noise and lighting would impact and devalue homes along the lakefront. The beautiful green amenity, our home estate that we purchased in some 20 years ago would no longer look the same. The community was not consulted on this major intersection change, we were not consulted on any aspect of it including if we were happy to give up so much of our parkland to a new housing development so they had an access road. 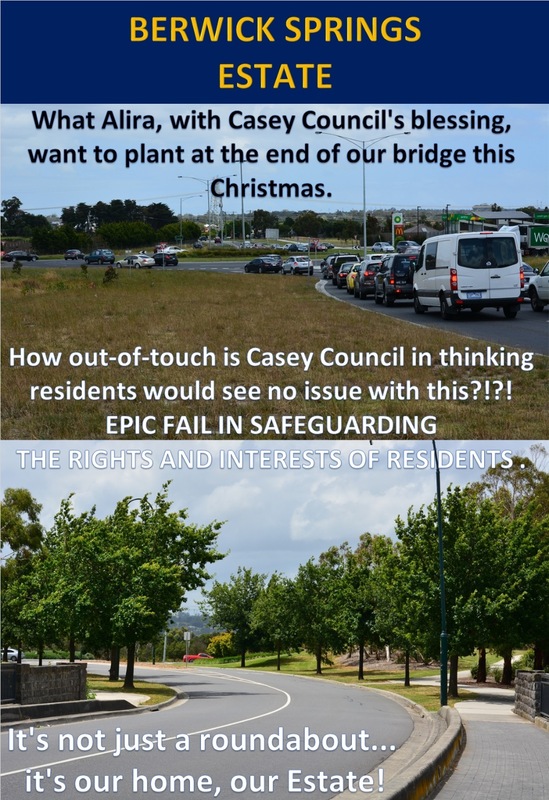 When asked, our Casey Council pointed the finger at the Victorian Planning Authority, Melbourne Water and Vic Roads. Statements have been made from those agencies advising they do not have an issue with the location of the roundabout as long as the design guidelines are met as recently as May 2017. Casey Council are the planning authority. They have created an amendment (C188) to the Planning Scheme to rezone the Alira land from a flood plain to Urban Growth Area for new developer of Alira Estate - Moremac Pty Ltd.
We have been lobbying council and our local councillors and MP's. Work was due to begin in November 2016 and with the assistance of Judith Graley MP and Luke Donnellan MP we have managed to gain more time. A report was prepared council with the developer which came out on 22nd Feb 2017. This report is available for viewing but basically prepares the way to continue with the initial plans unchanged. They mentioned the dwarf galaxis fish but also confirm none were sited in testing for the report. They mention community information sessions (not consultation) but nothing has been forthcoming. We are campaigning to ensure our rights are upheld and that the park, amenities and entrance, treescape remain in tact. We bought into this area because of the green space and facilities, the entrance to our estate reminds us that we are 'home' and we do not believe it is fair or just to impact the southern side of Greaves Road because a developer has a water drain (which currently has 9 crossings over it all the way to Dandenong including a freeway) on their land and doens't want to spend the money to place the roundabout on their estate, despite wanting access for their residents. Our community are very united and strongly oppose this taking of 50meters of the entrance to our estate and land without consultation or discussion. 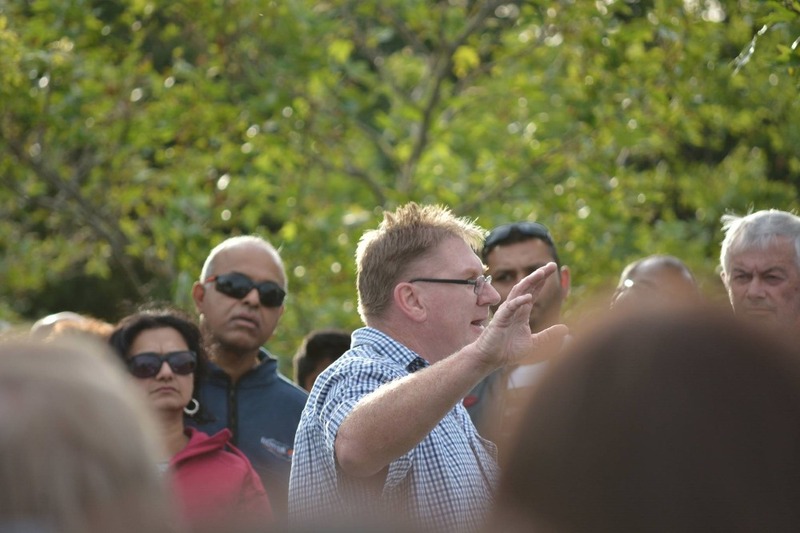 Residents have signed a petition which has been tendered to council (1300+ signatures to date) and we have attended council meeting, info sessions and community rallies in large numbers in a show of support amoungst our residents, that we will not be ignored on this matter. We have realised to fight for our rights on this we need to raise funds. It is difficult to set an accurate target as this issue is complex and we do not know the true costs involved. We will REFUND the percentage of remaining funds to all our backers if the funds are not required going forward. *Refund by percentage of what was not spent of the remaining funds to all who people who we know to have donated. We will only use the funds as described and a bank account with several community members as signatories is being established for this fund. Donations can be anonomous and no information will be made public. We already enjoy overwhelming community support for this issue and we have a whole host of volunteers willing to put in alot of time and effort to this campaign but financial support will allow our campaign to go to the next level if required. Our voice is not being heard by council and it seems we need to excersise our rights further. Your financial backing will allow us to do this. There is no obligation. Our community needs to rally together in support, we have voted and clearly sent a message that we will not stand by and watch this happen to our home. These funds will ensure we can act on this community sentiment. We need to rally together quickly so that we are in a position to stop this from progressing with VCAT intervention if possible. We have had a great start but need to raise more. every dollar counts and as a community we need to support each other. Unfortunatly, if we cannot raise these funds together as a community then our campaign and future of our estate entry is under a dark cloud. We have our last push to the finish line with our town planner representing us at VCAT. If you have not already donated please do, a few bucks from everyone is all it takes to assist us. Please share with other residents. 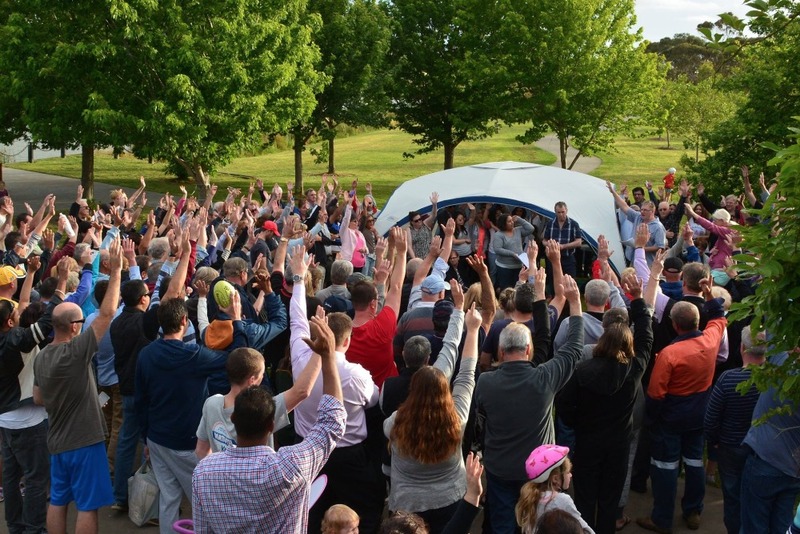 Hi Everyone, we had a very successful Rally last week. In the light of Cr Sam Aziz's recent comments which can't be substantiated we are preparing for our VCAT submission to stop this going ahead and holding council to account. They have not produced the permit within in the timeframe and we need to proceed with this action. We need $765 to reach our VCAT target. If you haven't already contributed please give whatever you can, $5, $10, $50 whatever you can afford. Thanks to all who have contributed to date. Just a quick update everyone. 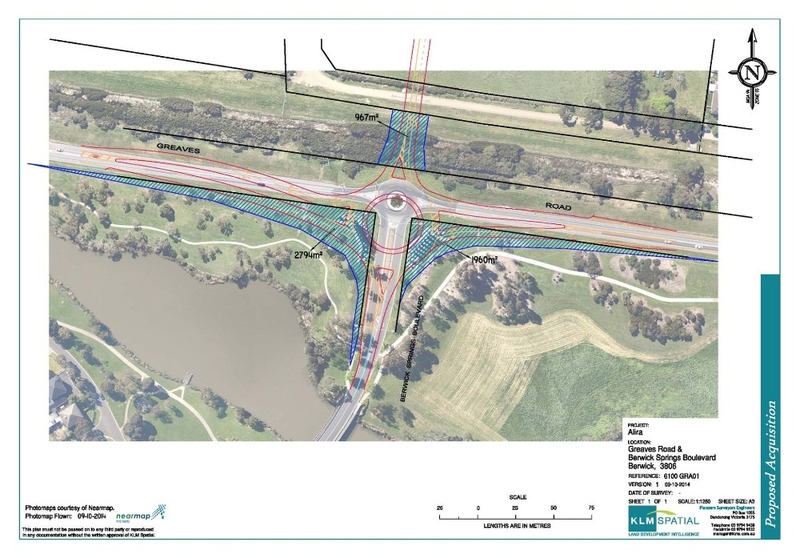 "To confirm what the Mayor said in his letter to residents last year, if the roundabout is relocated southwards, the existing entry features will also be relocated. The developer has already accepted that requirement, and is almost ready to commence work. 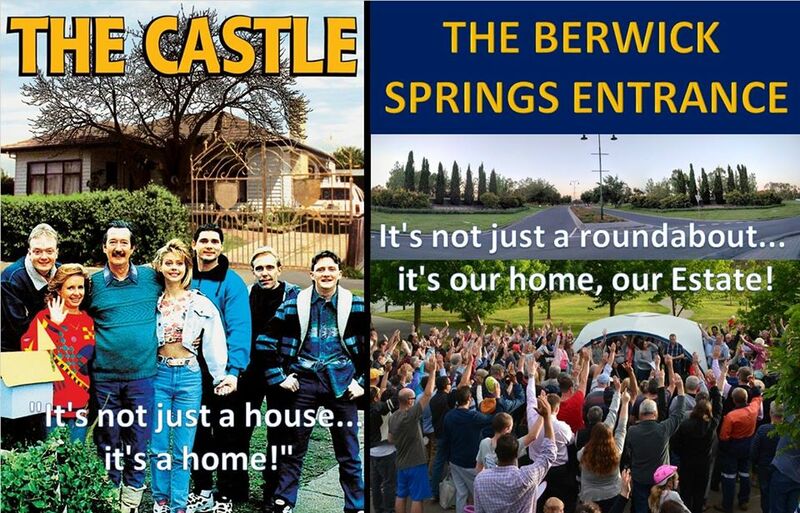 There is no doubt that, if not now, in the future the entry to Berwick Springs will change. 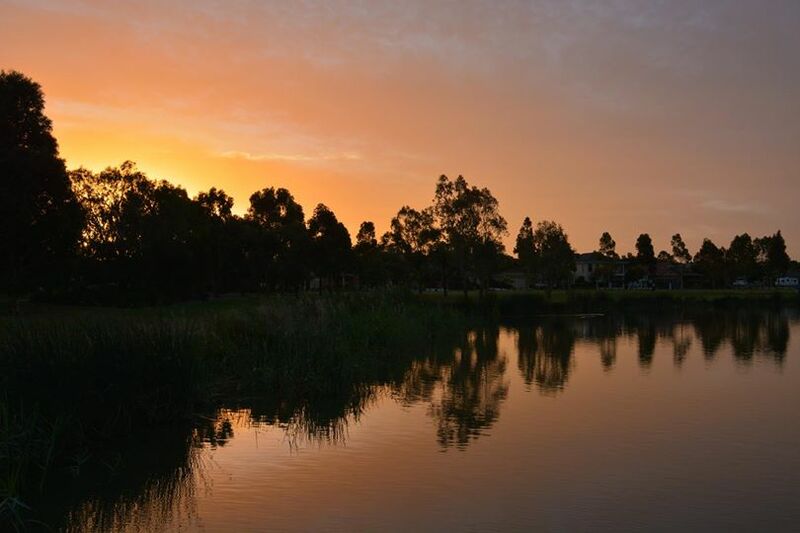 It is an inevitable part of the large scale urbanisation which is occurring throughout Casey." We need to be prepared to take this to VCAT as it appear the developer is ready to go and Council are not willing to give us a say. We need to reach our target of $4000 for this action. Please give whatever you can, even small change is welcomed. We have discovered through the Town Planner that we have commissioned that Greaves Road is listed as an 'Urban Flood Zone' which means that the Council needs a permit and it is not exempt from review. The Town Planner has asked them to provide this documentation, despite them telling us a permit is not required. We will have more on this in the coming weeks. For everyone who has donated thank you so much for your support and encouraging comments. What's the status of the VCAT application? 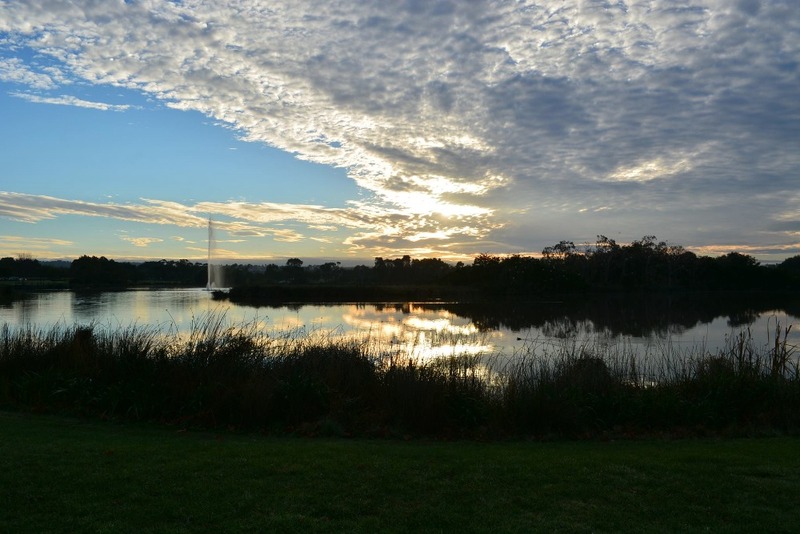 We very much appreciate your work in trying to preserve the Berwick Springs Estate. Thank you for fighting for Berwick Springs Estate.